What are the benefits of reading and how does one make time to read? 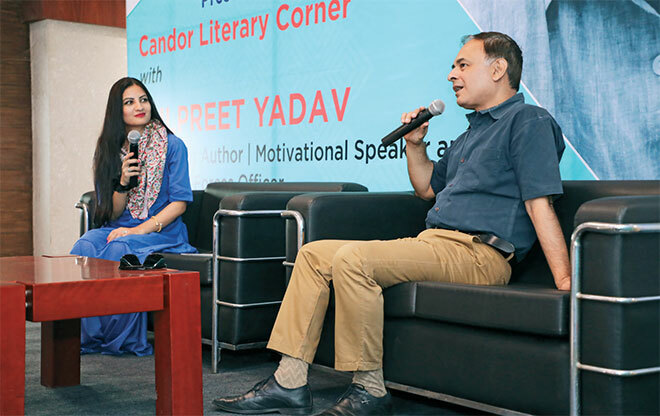 Author Kulpreet Yadav, who launched his book Murder in Paharganj some months ago, answered these questions at ‘Candor Literary Corner’, an event organised at Candor’s Sector 21, Gurugram campus in May 2018. Reading is so much more than a hobby, a way of passing time or a learning process. It is also a celebration of the sweet solace to be found nestled within pages. Reading also demonstrates what books mean to us as individuals, and the cherished part they play in our lives: as one of the simple pleasures to be had in life and as a means to connect with a world that is infi nite in its reach and views. other on a level that goes beyond just business. 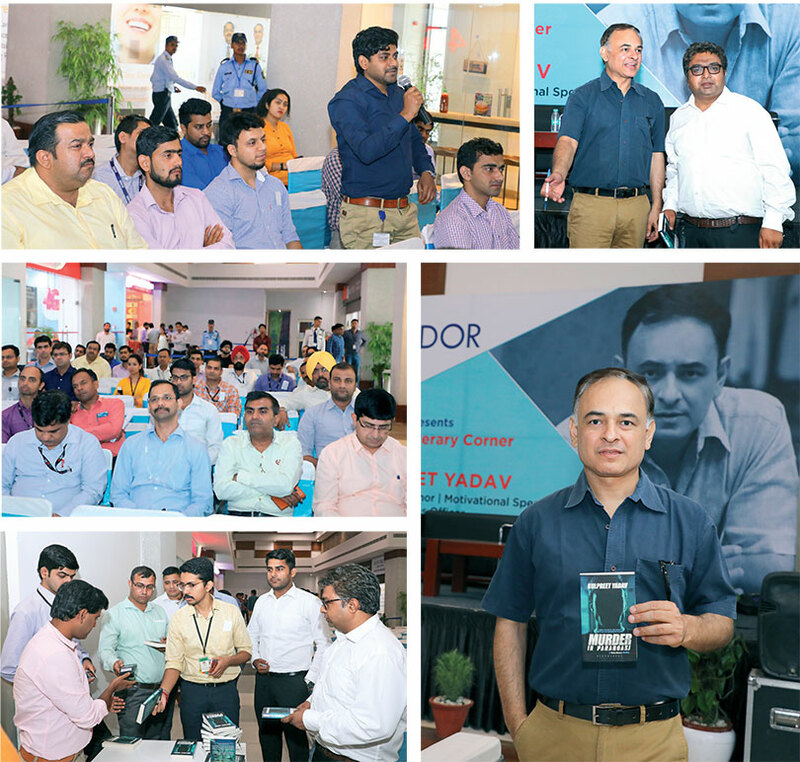 Author Kulpreet Yadav, known for his thriller novels that are a whirlwind of action and mystery with a classic confusion of whodunit, was invited as a speaker for the event. While the breathless pace of his novels keeps readers hooked, Kulpreet is also a popular motivational speaker and has spoken at many schools, colleges and corporate offices. This event saw him speak about the advantages of reading and give tips on how to make time for it while pursuing a busy career. He says, “Reading is important, and we should spare time for it in order to ensure a healthy and productive body and mind.” His talk lasted for an hour and was followed by an exciting Q&A interaction with the audience. 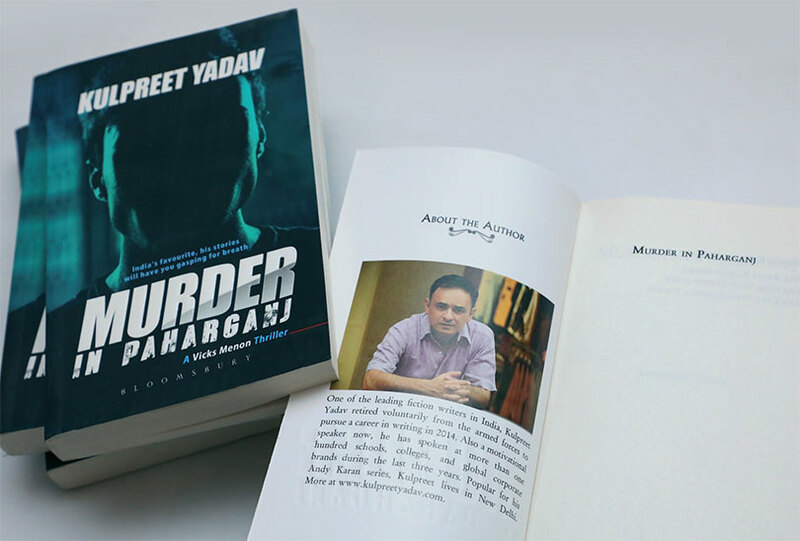 Some of the attendees were lucky enough to win autographed copies of Kulpreet’s latest book Murder in Paharganj, a fast-paced and action-packed thriller. Are you a bibliophile? If so, you would be aware of the de-stressing qualities of reading. If not, maybe you just do not know your genre yet. There are all kinds of books which have been published and there will be a category that is meant exactly for you. Find the right book and get started on reading it, right away!